With the first official events being held Thursday in Sochi and the opening ceremony set for Friday, it’s almost time. All of the build-up and all of the hype will give way to actual Olympic hockey being played. It will be difficult for Sochi to top the excitement that the 2010 Olympics brought in Vancouver, but it’s hard not to look forward to the hockey tournament that awaits. Adjustments to the women’s tournament format should make early games more competitive. On the men’s side, it will be another showcase of the most talented players in the world in the truest best-on-best tournament there is. The U.S. and Canadian men have struggled in Olympics held outside of North America since NHL players started competing in 1998. No medals for either side in 1998 or 2006 makes Sochi an incredibly interesting test for both clubs. It seems as though both sides have learned from the failures of the past, though, and the two North American squads are going to be among the favorites. If you’ve read this blog for more than five minutes, you know that international hockey is kind of its bread and butter. I started this blog in the winter of 2010, so this is the first Winter Games covered in this space, which is really exciting for me personally and hopefully enjoyable for you. Since I’ll also be handling a lot of Olympic coverage and analysis over at CBSSports.com, I wanted to make sure to keep the coverage here fresh and different. 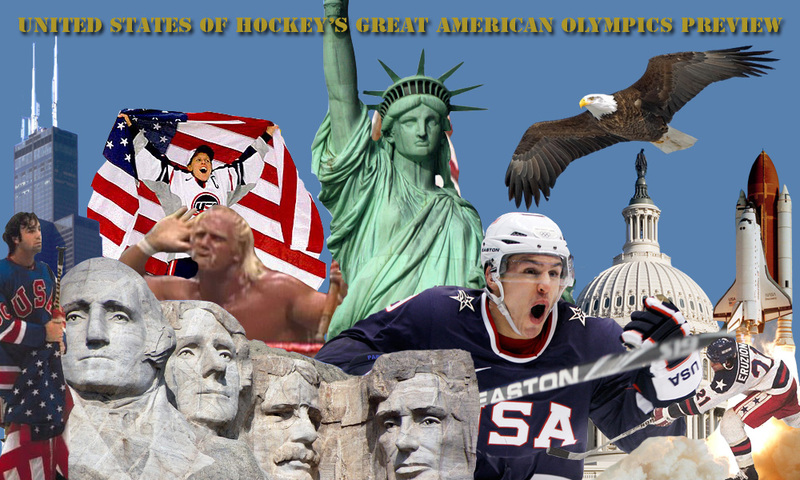 So with that in mind, I present to you the first-ever United States of Hockey Great American Olympics Preview — A look at the U.S. Olympic Men’s and Women’s Hockey Teams, with a bit of a twist. 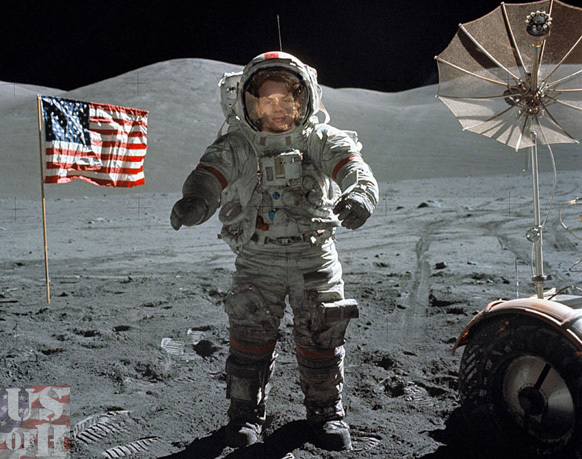 Before we get started, a word of warning: You are about to be exposed to my very limited photoshopping skills. But stick it out to the end to learn about a T-SHIRT CONTEST! Want to win gold? Bring your lunch pail to Sochi. Both the U.S. women and men have, at the very least, rosters capable of competing for the gold medal in Sochi. The women’s team is always in the hunt, but seeks its first gold since the first Olympic women’s ice hockey tournament in 1998. The men have watched their golden drought stretch to 34 years, as the 1980 Miracle on Ice was the last time a U.S. men’s team won gold in hockey. Both of the gold medals won on the men’s side came on home ice, so history is not on Team USA’s side, but this group may give USA Hockey its best chance to get back to the top of the podium. The U.S. women are likely to be favored coming into the Winter Games. They won each of their last four meetings with Canada in the pre-Olympic tour and is also the defending Women’s World Championship gold medalist. The team has one of its best mixes of skill, speed and physical strength that have made them both fun to watch and, at times, dominant. It hasn’t always been smooth sailing, however. Team USA started the year losing three of their first four games against Canada and were stunned by Finland in the Four Nations Cup in Lake Placid in November. Team USA is due to meet Finland in its opening preliminary-round game, so that should be a good one. Despite the rocky start, the women finished the pre-Olympics training tour in fine form with the aforementioned four straight wins over Canada. The new format for women’s hockey means the strongest teams play each other in the prelim round, so the U.S. will get tested early, especially when meeting Canada Feb. 13 at 7:30 a.m. ET on NBCSN. The men’s team, which had some controversial omissions from the roster, appears to have gotten through the last few days of the season relatively unscathed in terms of serious injuries. David Poile may be knocking on wood right now as the NHL’s Olympic break doesn’t officially get underway until Sunday. This is a team that is not going to be favored over Canada and Sweden, and perhaps not even Russia. That said, this U.S. roster is built for speed, which should mean its built for offense as well. A highly-mobile defensive group and the deepest crop of forwards the U.S. has brought to an Olympics since 2002, to go along with world-class goaltending from Ryan Miller and Jonathan Quick, combine for a competitive roster. The forwards have enough scoring to produce and if the young blue line can lead a steady transition game, this U.S. team is going to be pretty good. With a group stage that includes a tough first test in Game 1 against Slovakia, a date with host Russia and a probable walk against Slovenia in the final game, the U.S. is going to need a great start to the tournament and hope it carries them through. Team USA will be in tough to earn the bye to the quarterfinals by winning the group, but should they do that, they’d be extremely well positioned to compete for a medal. In short tournaments, it’s all about getting to work right away, clicking as a group and playing the game at a high speed. If the U.S. can do that, they’re in good shape. 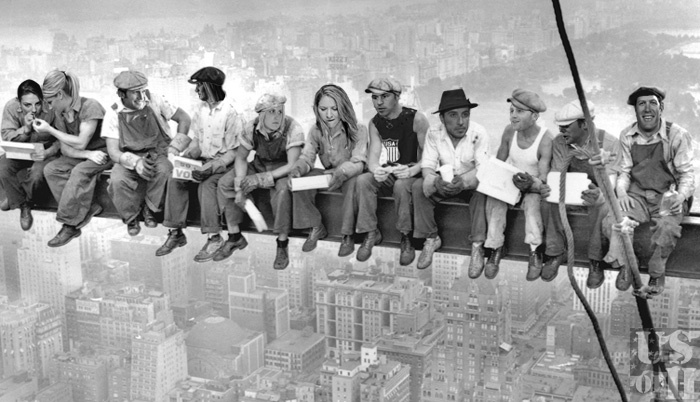 Above: Pictured taking a break from Empire State Building construction (from left), Hilary Knight, Brianna Decker, David Backes, Jocelyne Lamoureux, Monique Lamoureux, Meghan Duggan, Zach Parise, Ryan Callahan, Patrick Kane, Paul Stastny and Ryan Suter. The U.S. is in good hands on both the men’s and women’s side when it comes to coaching. 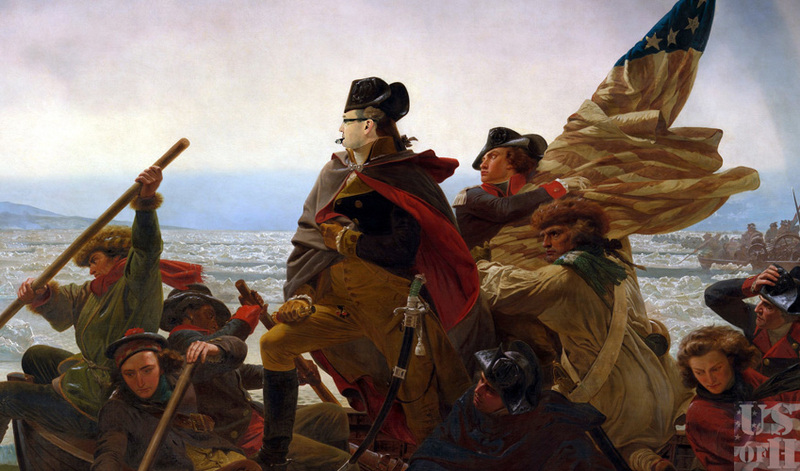 USA Hockey tabbed Pittsburgh Penguins head coach Dan Bylsma, pictured here crossing the Delaware, to lead Team USA in Sochi. Having already won a Stanley Cup and expertly managing a star-laden team in Pittsburgh, Bylsma seemed like the obvious choice. Though he has no prior international experience, his up-tempo style of play and emphasis on possession and scoring should go a long way on the big ice. Katey Stone becomes the first female coach to lead the U.S. Olympic Women’s Hockey Team in history. She follows in the footsteps of Ben Smith, who led the team in three Olympics from 1998-2006, and Mark Johnson, who coached the team to a silver medal in 2010. Stone recently led the women’s team to the 2013 IIHF Women’s World Championship gold medal and has put together a historic career as the head coach of Harvard Univeristy’s women’s hockey team. No coach has more wins than Stone’s 402 in women’s college hockey, compiled over 19 years at Harvard. By now, you’ve probably read or seen enough to know that Sochi is positioned a tad precariously geographically. Security threats were always expected, but as we’re coming to find out, there’s even more to be concerned about. A lot of Sochi was ready for the Games, but a good portion of it wasn’t. That shouldn’t be a problem for the athletes as there haven’t been any reported problems of real concern in the athlete villages. Beyond the rather quaint accommodations, which is every Olympic village ever, there shouldn’t be any problems with the water like there has been at the media hotels (that are actually done). There’s still an adjustment for players, though. The women’s team arrived in Sochi on Monday and are already settled in and practicing. They have some time to adjust to the time difference and get comfortable in Sochi. The men will only get a few days to do the same and only three practices at the most before the games go live. For the teams with fewer NHL players, they’ve been able to centralize and simply add their NHL talent to a team already starting to gel. That’s certainly going to be an advantage, but maybe only a slight one. All of these talented players should be able to figure things out pretty quick. There’s still that adjustment to different food, different sleeping arrangements and the general distractions of the Olympics, which would be hard for anyone not to get sucked into. On top of all that, there’s been the hot topic of Russia’s homosexual propaganda laws, which have become (probably more appropriately) known as the anti-gay laws. It certainly puts a dark cloud over the Games and rightfully so. It has made Vladimir Putin, whose staked a good deal of his reputation on these Games, very unpopular around the world. Thanks to the Vladimir Putin, Action Man series, we could probably have a lot more of these by the time this Olympics is over. 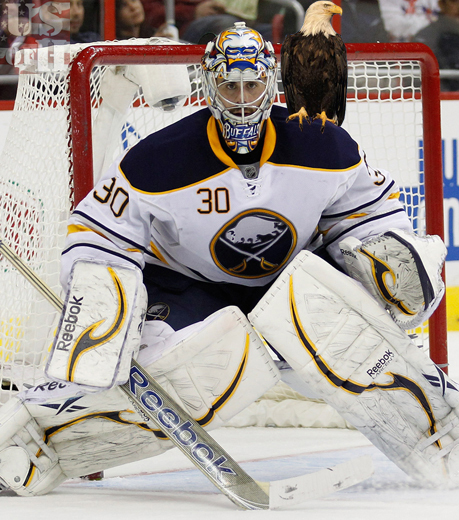 The U.S. can have confidence in their goaltenders in any situation. Both the men’s and women’s teams are in similar situations. They both have really good problems to have. The women’s team has a trio of dynamite goalies in Molly Schaus, Brianne McLaughlin and Jessie Vetter, who have good international experience and success. The men have Ryan Miller, Jonathan Quick and Jimmy Howard, who have all enjoyed great success in the NHL. For the women, the decision is likely to come down to either Vetter or Schaus. The latter had the better numbers during the pre-Olympic tour, but Vetter has the edge in experience as she was the starter in 2010. It’s going to be interesting to see who is the final choice to start Game 1 against Finland. The Finns have the best goalie in the world on their side in former Minnesota standout Noora Raty, so Team USA’s netminder will have to be sharp. The situation on the men’s side is just as difficult and perhaps a bit more complicated. The decision at this point seems to be between Miller and Quick. Miller is the incumbent, who put up ridiculous numbers in 2010 and was the reason Team USA medaled. 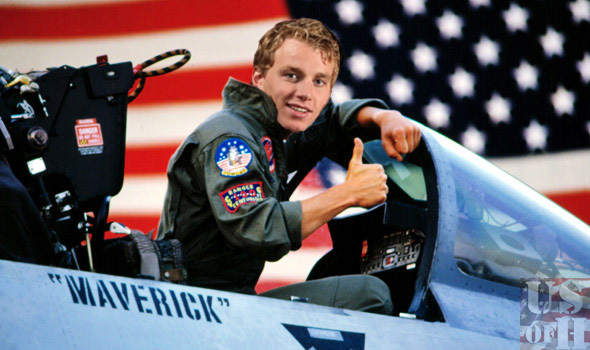 Quick has a Stanley Cup and back-to-back postseason gems in terms of his overall performance. Quick has dealt with injury this year, but has come back very strong and is starting to look like he did in the playoffs. Miller, meanwhile has been terrific with a bad team in Buffalo. His numbers are near his Vezina trophy season. Bylsma may already know which way he wants to go, but no matter who he picks, he has a solid option between the pipes. No question, goaltending is going to be huge for Team USA with a relatively young defense and a game that is likely to rely on transition, which can sometimes lead to odd-man chances. The decision is far from clear, but Bylsma has the kind of dilemma you want to have in his position. The U.S. men will have a very tough test in their second game. Playing the tournament host is a tough task, but doing it this year is especially daunting. Hockey is the main sport of this Olympics. It’s the centerpiece of the Games, meaning the pressure on the hometown club is enormous. With a roster including NHL stars like Alexander Ovechkin, Evgeni Malkin and Pavel Datsyuk, this Russian team has a ton of offensive fire power. The defense is certainly suspect, but when Russia has guys that can score, they can hang with anybody. That second game is going to provide an incredibly loud atmosphere and the Russians should be charged up to take on the Americans in such a big game. It also has seeding implications as Russia and the U.S., at least on paper, are the two best teams in the group. A trip straight through to the quarterfinals could be on the line. Team USA beat Canada in Canada during the preliminary round in Vancouver, which was lauded as a huge confidence booster that helped propel that team to the gold-medal game. The game against Russia could provide a similar springboard. The U.S. has to find a way to take the pressure Russia is under and use it to their advantage. If the U.S. can push the pace and avoid penalty trouble, they’ll have a good shot. 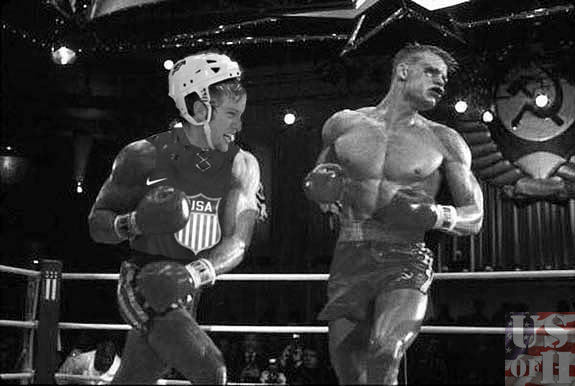 It should be an emotionally charged game, the kind you’d expect a guy like David Backes (pictured above giving Ivan Drago the what for) to thrive in. The U.S. Olympic Men’s Hockey Team is going young with this roster and they’re doing it because they can. In previous Olympics, the U.S. had a veteran-laden, older team because the young guys weren’t ready. Now they have a slick-skating group with a surprising amount of international experience despite their relative youth. Gordon Bombay only knows one thing when it comes to international hockey: winning. The Junior Goodwill Games were fictional (sorry), but there are major international tournaments for players as young as 16 years old. Unfortunately they aren’t popular enough to sell out the Pond in Anaheim, but they serve a very important purpose. Every skater in Team USA’s lineup has appeared in at least one IIHF World Championship event and many have won. There are only three players on the roster over 30 years old, with 21-year-old Justin Faulk as the youngest on the team. Even though they might not have the pro experience so many others did in the NHL era of the Olympics, this group has experience that counts from years of playing with and against the best players in their group on an international stage from a fairly young age. The fact that these players on Team USA have had success internationally as young men will help them be prepared for taking those lessons and applying them to the biggest tournament in the world. That’s a big difference between this generation of players and the last few. USA Hockey didn’t start enjoying international success regularly until the 1984 birth years led by Zach Parise, Ryan Kesler and Ryan Suter started winning major tournaments. They won USA’s first-ever World Under-18 Championship in 2002, the country’s first World Junior Championship in 2004 and they all helped Team USA earn an Olympic silver medal in 2010. Now the next wave that they paved the way for are on this team. John Carlson, Cam Fowler and Derek Stepan won World Junior gold, the second ever for the U.S., in 2010. Numerous others won World Under-18 gold like Patrick Kane, Justin Faulk, James van Riemsdyk and Phil Kessel. In fact, Carlson scored the OT game-winner in the 2010 World Juniors. It made him a bit of a folk hero, launching a lot of Chuck Norris/Most Interesting Man in the World type stuff. World Junior stardom can go a long way. 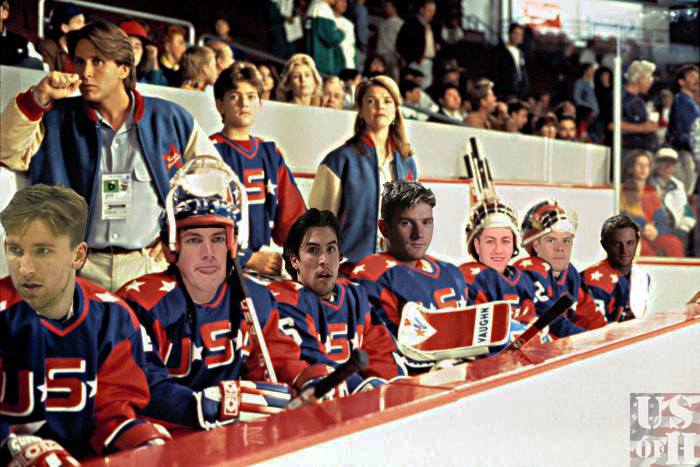 Above (from left): Blake Wheeler, T.J. Oshie, Justin Faulk, Jonathan Quick, Derek Stepan, Paul Stastny, Cam Fowler. There are so many players to watch in this tournament for both teams that it is too hard to name them all, but here are a few. After missing the entire pre-Olympic tour with injury, Kessel is ready to go. Perhaps one of the most dynamic talents in all of women’s hockey, Kessel is the reigning Patty Kazmaier Award winner after a staggering 46-goal, 101-point season at Minnesota. 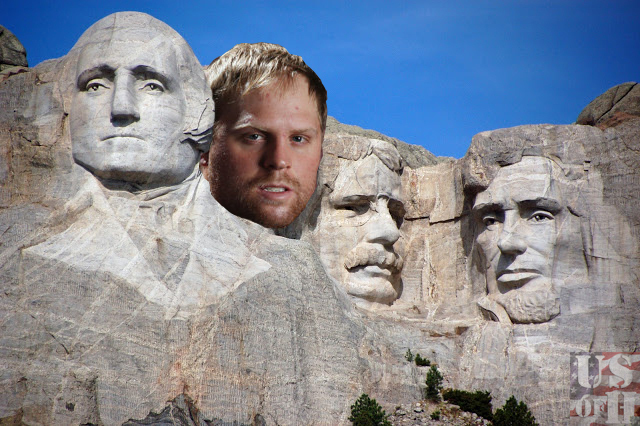 If the U.S. is going to win gold, it likely needs Kessel contributing on the score sheet in a big way. Like her brother Phil, she has tremendous offensive instincts and seems to always find ways to score. Everyone knows her last name already, but expect Amanda Kessel to be household name by the time things are done in Sochi. Keeping this one all in the family. Phil Kessel has been one of the most dominant offensive players in the NHL this season (and probably for far longer than most people realize). As of Feb. 6, Kessel was second in the league with 30 goals. His 61 points are good for fifth in the NHL. With blinding speed and an ability to score from just about anywhere in the offensive zone, the U.S. needs Kessel to be consistent source of goals. His elite shot and ability to beat defenders wide should give many teams trouble. Expect him to play a prominent role for this U.S. squad. 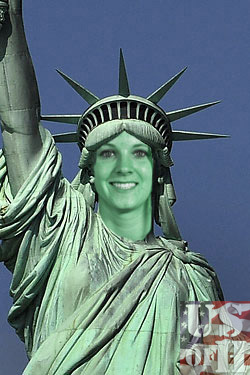 Kessel’s Olympic camp head shots launched about 1,000 photoshops including this one. Selected as Team USA’s captain last week, Parise was a great choice among many solid options for Team USA. One of the leaders of the latest American renaissance in the NHL, Parise has dealt with injuries this year, but remains a solid contributor for the Minnesota Wild. He plays the game at a high speed and brings unrivaled energy to every shift. He is the embodiment of how this U.S. team will have to play to win gold. 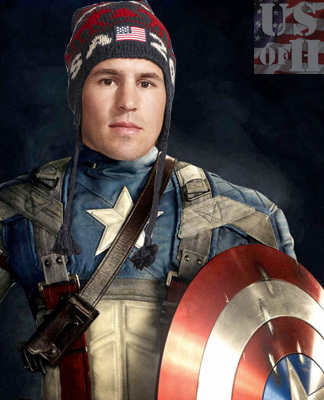 And like every captain who has ever captained a U.S. national team, Parise is now officially Captain America. Parise’s version of Captain America, however, comes with a knit hat Ralph Lauren would like to sell you for $94 or a kidney. Your choice. 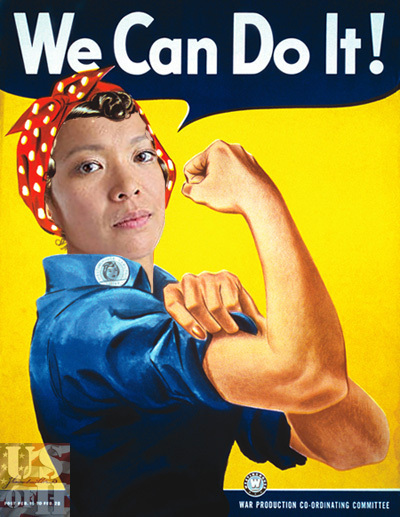 A U.S. Women’s National Team program staple for about 15 years, Chu has done everything that’s been asked of her. She’s switched positions at times, has been the captain and even without the C has been a leader. The 31-year-old forward has been one of the great character players in the women’s program and this may be her last go at the Olympics. Expect her to go all out for her best chance yet for Olympic gold in her fourth appearance at the Winter Games. She has 178 points in 234 career games in a USA jersey. Part of a select group of American-born players to have gone first-overall in the NHL Draft, Kane is one of the great stars of today’s game in the United States and beyond. With a pair of Stanley Cups under his belt already, Kane is off to a great season. His 63 points are fourth in the league. Perhaps the most skilled American in the game, and maybe the most skilled in the NHL period, Kane dances with the puck on his stick. He should do well with the extra space on the big ice to create a little more. Look for him to be in a top-line role as a featured scorer. He’s dangerous. McDonagh is here for two reasons. The first is that I believe he will play a substantial role for Team USA, getting big minutes and playing in all situations. An elite level skater with terrific defensive skills, McDonagh has turned his offensive game up this season and is already two points away from his career high. He should be a top-four defenseman who plays a lot against tough competition and on special teams. The other reason he is here is because I found a picture that I really wanted to include in this and then things got weird. When late-night writing leads to moderate delirium, this is what you get. 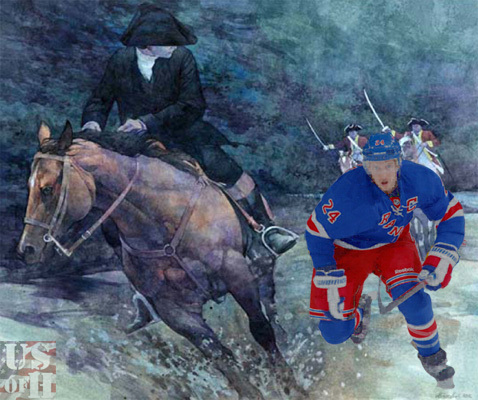 Ryan Callahan and Paul Revere here would like to remind you that the Olympics are coming and you’re going to have to either get up in the middle of the night or early morning (or just stay up for two weeks straight) if you want to catch men’s and women’s Olympic hockey. Every U.S. women’s game will air live on NBC Sports Network, with a rebroadcast at a later time that day. It will also simulcast on NBC Live Extra, the broadcaster’s webstreaming service. Team USA starts Saturday, Feb. 8 at 3 a.m. ET. You can get the complete broadcast schedule for the U.S. Olympic Women’s Hockey Team here. Every U.S. men’s game will also air live on NBC Sports Network. The preliminary games at least are at a reasonable hour for Easterners. All three of Team USA’s preliminary-round games air at 7:30 a.m. ET on NBCSN, with the same streaming service and rebroadcasts coming at 5 p.m. ET on NBCSN. The full schedule is here. For the rest of the men’s games, all will air live on NBC’s family of networks, so either get your DVR set or just keep the Mountain Dew cold, the coffee hot and put your health on hold until after the Olympics are over. Here’s the full men’s tournament broadcast schedule. Congratulations! You made it to the end of this rather long post. You probably just want to grab a sandwich or something and you should… right after this. Since the Olympics are pretty much a big deal around here and the world, basically, we wanted to have a little extra fun and give you, yes you an opportunity to win something nice. 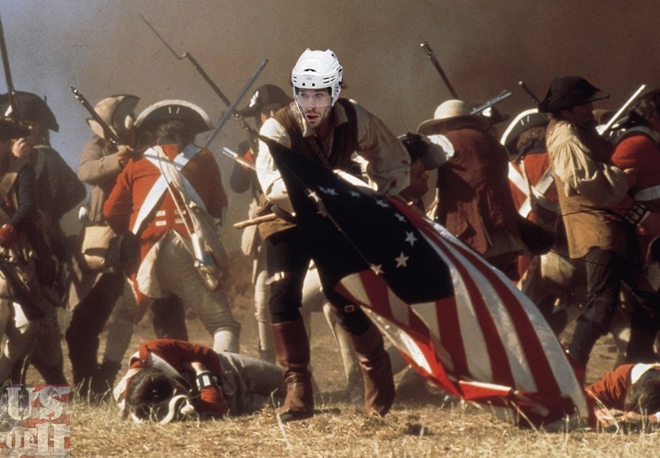 The first way to win is by entering our Great Americans Doing Hockey Things Photoshop Contest. It’s pretty simple. You can Photoshop a current U.S. Olympian, men’s or women’s however you choose, so long as the picture screams America and hockey in some way. 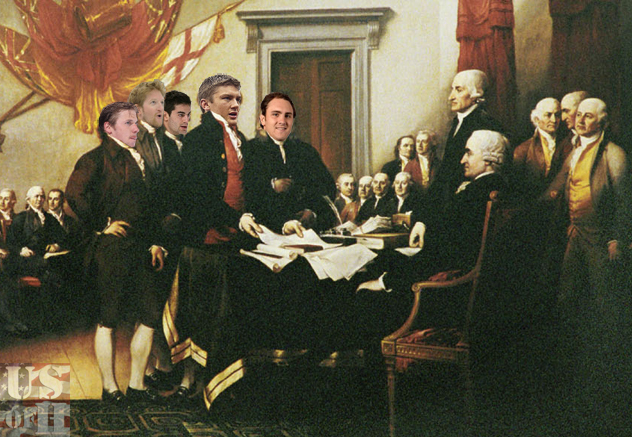 For instance, you might include a group of your favorite Olympians presenting the Declaration of Independence like say Jimmy Howard, Paul Martin, Max Pacioretty, James van Riemsdyk and Kevin Shattenkirk. Only you will probably do it better than I did. 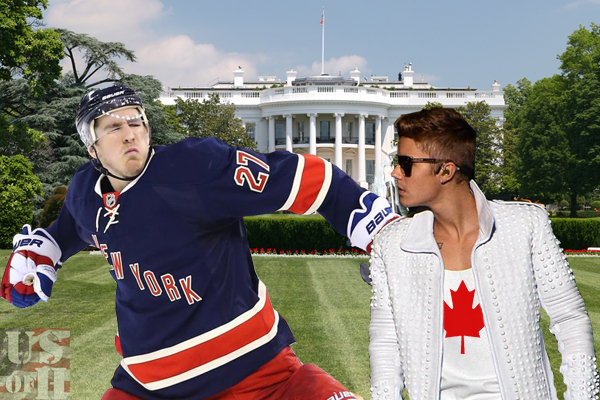 You can also do the reverse and Photoshop a great American icon into something more hockey related. 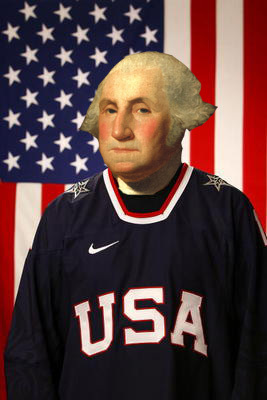 Like, say you want to know what George Washington would look like in a hockey jersey or something. The best and most patriotic ‘shop job as selected by a small committee of myself and a few colleagues will win a T-shirt of his or her choosing among the two styles above (there are other colors, which you can pick from as well). ****IMPORTANT: All submissions must be received in my email (cmpeters10@gmail.com) or through Twitter (@chrismpeters) by 11:59 p.m. ET on February 16, which is the final day of preliminary round action in the men’s tournament. Please keep your ‘shop jobs in good taste. Depending on the volume of submissions, Select images will likely be included in a post prior to the quarterfinal round of the Olympic men’s hockey tournament with the winner revealed at a later date. I am very much looking forward to seeing what those of you who are about to make my Photoshops look painfully sad can do. 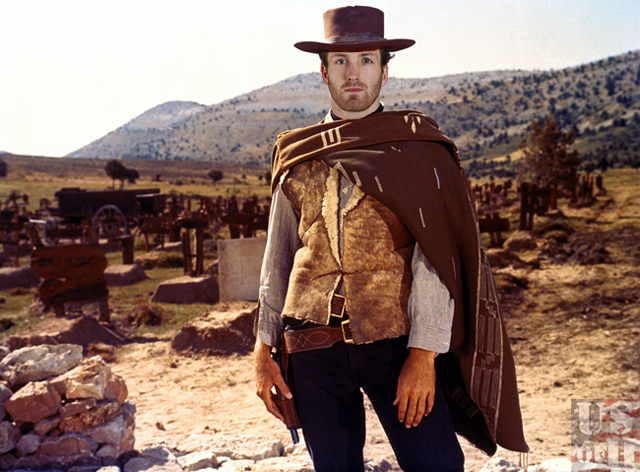 This has nothing to do with anything, but here’s Brooks Orpik as a cowboy. So maybe you don’t like Photoshop or you have better things to do. What about you? Well you, yes you, can win a T-shirt, too! How do you do that? By correctly guessing the total number of goals the U.S. Olympic Women’s Hockey Team scores in their three preliminary-round games beginning Saturday morning. The person with the closest guess without going over the total number scored will win the T-shirt design of their choosing among those two above. Ties will be broken by order in which they were submitted. ****IMPORTANT: All guesses must be submitted through United States of Hockey’s Facebook page, specifically here, and you can only make one guess. Submissions will only qualify if received prior to puck drop for the opening game between USA and Finland, which is Saturday at 3 a.m. ET. So HURRY! 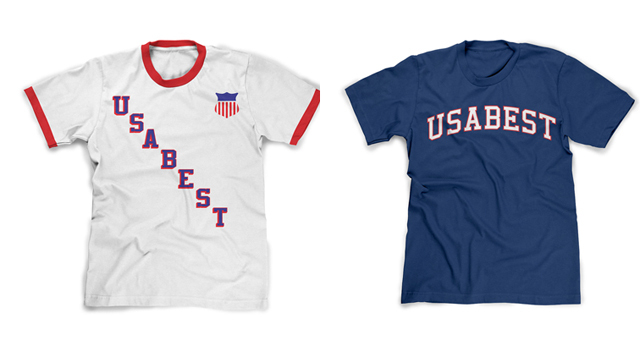 Whoever is closest, whether he or she goes over the final number or not, will earn one of those dandy USABEST T-shirts. Sound good? You bet it does. Good luck to you and a huge thanks to Matt Johnson from twoeightnine for making these shirts available for the contest. Go poke around his site, there’s a ton of great stuff there. If this is your first time visiting United States of Hockey, we actually do real analysis of actual hockey, too. Catch up with all the latest coverage of the 2014 Olympic Winter Games by clicking this link. We’ll have much more preview coverage in the lead-up to the men’s tournament and some thoughts on the women’s games as well. Special thanks to Rob Schmit for contributions to today’s post, including sending me the link to this GIF to wrap things up. Rene Rancourt, the best. 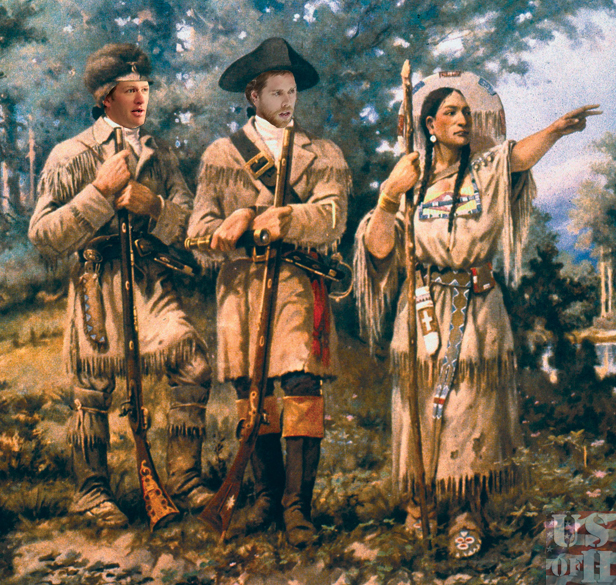 This entry was posted in 2014 Olympics, NHL, U.S. National Teams, USA Hockey, Whimsy. Bookmark the permalink. having identical RSS issues? Anybody who knows the solution will you kindly respond?